Glynn MacDonald trained in the Alexander Technique at the Constructive Teaching Centre with Walter and Dilys Carrington in 1972. She has worked in the Actor's Centre and the Field Day Theatre Company in Ireland, Dramaten in Stockholm, Norskspillersforbund in Norway, Holback Angstheatre in Denmark, Bremen Opera Company in Germany and in Poland, Switzerland, Japan, Australia and the USA. 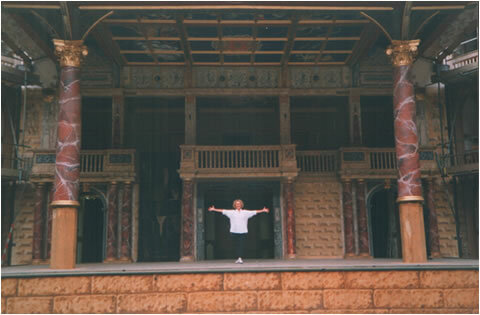 Since 1997 she has been Resident Master of Movement at Shakespeare's Globe on all the theatre productions. She works for Globe Education giving movement workshops for schools, undergraduates and Continuing Professional Development for teachers. She heads the Movement Department for the Conservatory Training Programme for Rutgers University at the Globe and has made a documentary on the work called In Form and Moving. In 2002, she directed Transforming September 11th at the Linbury Studio, Royal Opera House for Peace Direct. She has written three books and is a Director of Bardo Productions.